Pediatric Physician Needed in Dickinson, North Dakota! CHI St Alexius Health Dickinson, is a fully accredited Joint Commission, 25-bed Critical Access regional medical facility which serves an estimated 50,000 people from Western North Dakota and Eastern Montana. With the support of the local community, CHI St. Alexius Health Dickinson has constructed a new, state-of-the-art health care facility in west Dickinson. 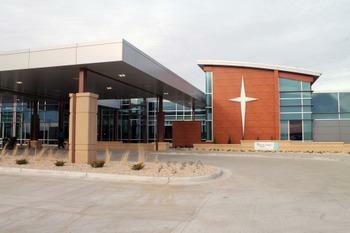 This beautiful facility houses our hospital and all of our Dickinson clinic locations under one roof. Situated 90 miles west of Bismarck, ND this community offers excellent schools, low crime, a safe, family-oriented quality of life that is ideal for physicians seeking great work-life balance, affordable cost of living with easy access to the amenities of a large metropolitan city and a wide variety of outdoor recreation. A career with Catholic Health Initiatives at CHI St. Alexius Health Dickinson means working for a financially solid, physician led and physician driven organization, practicing with an outstanding collegial team, and the assurance that you’re working for an organization committed to providing our physicians with an exceptional work-life balance. We are especially interested in candidates that demonstrate a commitment to service, organization values and professionalism, and adheres to and exhibits our core values of Reverence, Integrity, Compassion and Excellence. This is an excellent opportunity to step in to an established practice. Our Invitation to You - Come discover why more than 4000 physicians and providers choose to call Catholic Health Initiatives home. If you're passionate about patient care and like what we stand for, take a moment to explore this exceptional opportunity we welcome your interest by email or call to Lynn Kriechbaumer at 701-530-7132 and send your CV to Lynnkriechbaumer@catholichealth.net or Francine Kyaw at 701-237-8179 or FrancineKyaw@catholichealth.net.